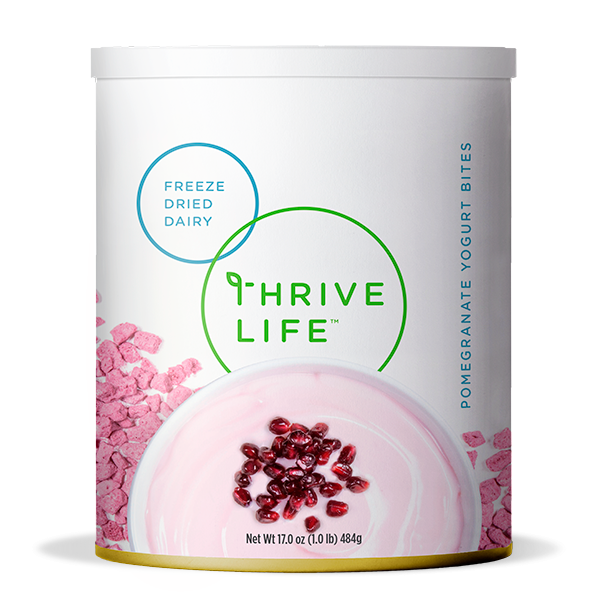 Thrive® Pomegranate Yogurt Bites are bursting with fruity flavor! Each tiny morsel of tasty yogurt is packed with the nutrients you need to maintain a healthy lifestyle. You can eat them right out of the can or try them sprinkled over your favorite ice cream, granola, or cereal for a surprising treat! Pomegranate Juice, Sugar, Skim Milk Yogurt, Starch, Black Carrot Juice Concentrate, Natural Flavor.